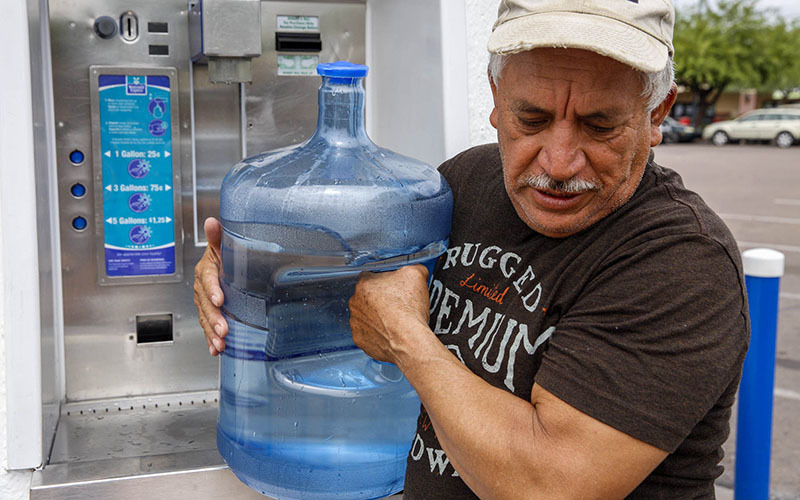 PHOENIX – Some tap water might smell like chlorine. Or it looks a little cloudy. Or maybe it doesn’t taste quite right. Those are just some of the reasons millions of Americans turn to bottled water. Bottled water has become the No. 1 beverage choice in the U.S., with 12.8 billion gallons sold in 2016, according to the Beverage Marketing Corp. Wholesale sales totalled $16 billion last year. But bottled water can come from many sources. Most of it is either spring water or purified tap water. 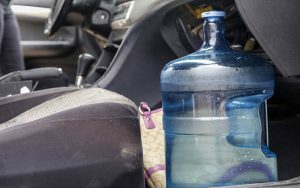 Arizona State University professor Elisabeth Graffy, who used to work at the U.S. Geological Survey, said consumers shouldn’t assume any bottled water is completely safe. The Environmental Protection Agency monitors public water supplies, and it makes violations available to the public. Phoenix officials said they conduct more than five million tests on the city’s water systems every year, and they test for more than 100 substances, according to the water department’s website. The U.S. Food and Drug Administration monitors bottled water. While there are some similar regulations, according to a 2010 analysis by the nonprofit EWG, 18 percent of bottled water brands do not provide customers with the source of the water, and 32 percent do not give any information about how the brands test the water. A 2008 study by the same group found 38 pollutants – from industrial chemicals to bacteria – in 10 brands of bottled water. However, Graffy said consumers must make the choice. During the summer and fall, tap water throughout the Valley can develop an unappealing, musky taste and smell. Algae builds up over the summer and collects in canals that Valley area cities use to transport the tap water supply, according to the city of Phoenix. The city filters out the algae, but the taste and smell can linger. Wood has a reverse osmosis system that filters the tap water in her home, but she relies mostly on bottled water. She likes the convenience and taste. Wood considers her bottled water consumption a bad habit because of the environmental consequences. She said she’s trying to rely more on filtered tap water. But, she said, bottled water is so easy and has helped her to stop drinking unhealthy soda drinks. “I’m trying to transition, but I don’t know if it’ll ever happen,” Wood said.